American Golf have started the search for the UK’s most improved junior, just as amateur Matthew Fitzpatrick (19) and Solheim Cup rookie Charley Hull (17) have experienced success in the golfing world. Fitzpatrick recently won the US Amateur Championship, while Hull was part of the first European Solheim Cup team to win on American soil. 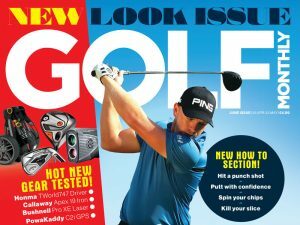 The retailer is trying to encourage all UK golfers under the age of 18 to enter the competition. Contestants will need to download the entry form from their website; americangolf.co.uk and explain in 200 words why they are the UK’s most improved junior golfer. This entry form once completed will have to be delivered by hand to the nearest American Golf store. The deadline is Sunday 15th September 2013. The prize for the winner will be over £500 worth of the latest golf gear, such as a top of the range set of clubs, a pair of golf shoes, trousers, waterproof gear, two polo shirts, a golf sweater, cap, glove, and four boxes of golf balls. The mentor of the junior will also be recognised as the winner’s parent or guardian will receive a set of custom fit irons of their choice with a value of up to £650. The competition will be judged on the junior’s dedication, marked improvement in their performance and a love and understanding of the game. The contestants will be judged by a panel of pros.